CNC Plasma Cutting 1/2” Plate (submerged in water) for mounting flanges. NTK Fabrication offers precision CNC plasma cutting service to customers who expect the highest quality fabrication. This service uses CNC and high definition cutting action on 3-axis equipment to produce parts that can measure up to 12 ft long, 8 ft wide, and 3 in thick. We use Hypertherm cutting systems with high quality consumables to guarantee you the best product. Cost Savings: Reduce fabrications costs by choosing precision plasma cut parts. Quality Improvements: Produce sharper inside/outside corners, sharper edges, and narrower kerf widths than conventional methods. Efficient Production: Fabricating times reduced when parts are received within a +/- .06" tolerance and free of dross and burrs. Economical Productivity: Minimize scrap and reduce handling time given capacity to handle plate sizes as large as 96" x 144" which allows us to nest a large quantity of parts on a single sheet during the plasma cutting process. Design Flexibility: Eliminates the need for making templates, transferring to steel parts, center punching, hand-cutting and hand-grinding. Shop Drawings for Folsom Ranch Hydromodification Basins. From conception to detailed design NTK Fabrication can assist you with turning your napkin sketches and brainstorms into a reality. We have over 20 years of professional drafting experience and can produce simple plans to detailed mechanical drawings. We are well versed in AutoCAD, Solidworks and Sketchup. We're prepared to bring your dreams to life in a format that matters. Ryan and Kasdan welding structural members for Beale AFB. Whether it is repairs to creating a small or large scale project from scratch; we have 15+ years of experience in the metal fabrication field. 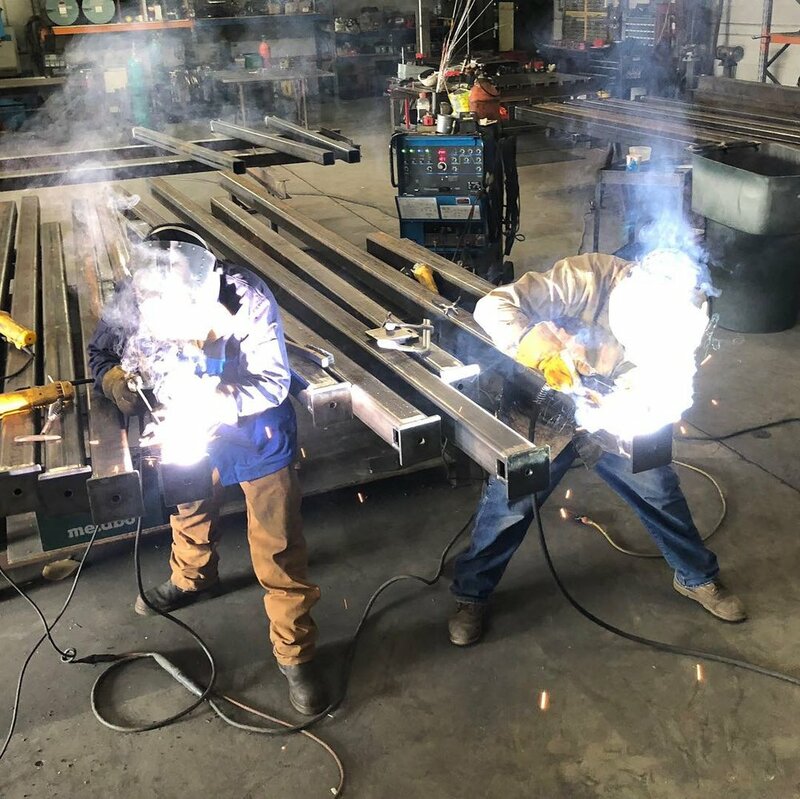 With state-of-the-art equipment we are able to efficiently provide welding services on a large variety of material types including steel, stainless, aluminum, titanium or cast iron. All welders AWS certified in a variety of processes to include SMAW, GMAW, FCAW and GTAW. Kasdan welding structural cross-members in the Raley Field Scoreboard Tower. If it's an onsite repair or fabrication you require, we can help! We understand that some things simply cannot be brought into the shop. For this reason, we provide a mobile welding service to better serve our customer's needs. Our capabilities are growing faster than we can update our page. So feel free to inquire about any fabrication services you may be needing.